The white grape comes from Austria, She is one of the big ones Veltliner Group, The name derives from the brownish-gray berries. Synonyms are Bachovichka Belina, Brauner Veltliner, Gelbling, Todträger and Wachler. In the Vivc catalog we also have an independent variety Brauner Veltliner. According to Dr. Ferdinand Regner Carried out in 1996 DNA analysis is the brown-white Veltliner one? mutation from Red Veltliner, From Swiss biologist dr. José Vouillamoz but this is doubted, but confusingly refers to Brauner Veltliner (in Wine Grapes ). 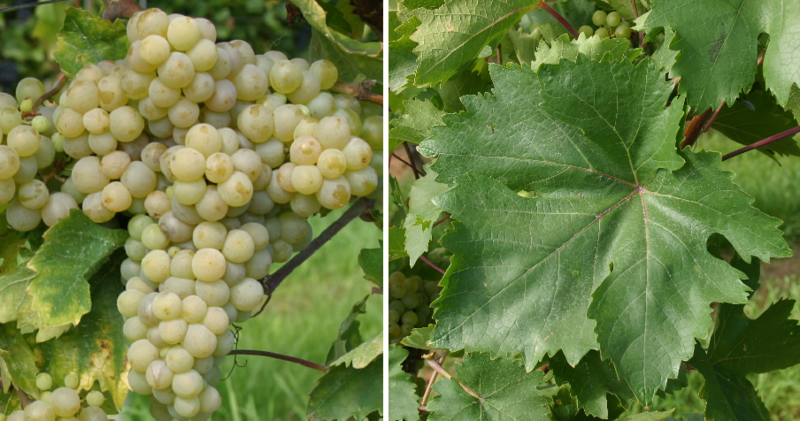 Brauner Veltliner is also synonymous with the Moldavian variety Tigvoasa, About possible relations of these two or three varieties is not known. On reason morphological Similarities were often mistaken for the vine Austro-White mistaken. The synonym Todträger indicates the yield richness. The previously coveted vine was still in the 1920s in Lower Austria one of the main varieties and also in Hungary widely used. Today it is cultivated there in small quantities, for example by the organic wine Alois Raubal in Gumpoldskirchen ( Thermenregion ). In the vine museum of the winery Franz Leth in Fels am Wagram are also a few sticks. No stocks were reported in 2010 (Kym Anderson ). This page was last modified at 20 December 2018 at 12:15.